You may have noticed fire ant mounds starting to pop up in areas around your home. As the weather warms, these pests will begin to infiltrate lawns, parks, ball fields and anywhere there is an open sunny area. There are many types of ants, most of which are a nuisance but necessarily harmless. This is not the case with fire ants. In fact, fire ant control – especially around your home – is very important if you want to prevent their painful stings. 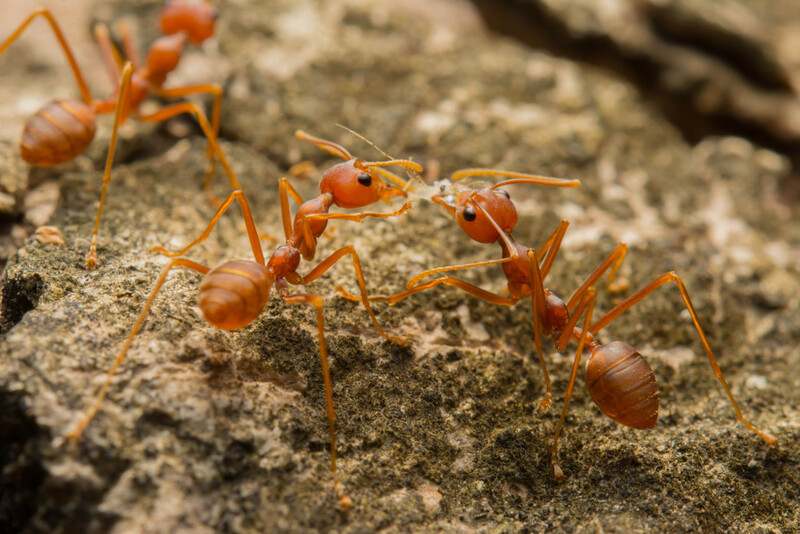 Fire ant insecticide is the most effective method to combat these nasty pests. I’m afraid fire ant insecticide will harm my children and/or pets. Evergreen Lawn Care uses a safe fire ant insecticide for fire ant control. It will not harm your children or pets. I tried to apply fire ant insecticide myself and it didn’t work. We use a special, proven process when applying fire ant insecticide. We may have to treat your lawn more than once if the mounds are well established. Is there a way to prevent fire ants all together? Yes! Evergreen Lawn Care can treat your lawn before ants begin to form their colonies. Early spring is the best time to for us to come out and formulate a fire ant control plan. In fact, we can apply fire ant insecticide during the spring fertilization process. And, while we are at it, consider having us use a pre-emergent herbicide for crab grass and weed control. Lawn Fertilizer, Shrub Spraying, Lawn Weed Control…. Are You Prepared for Summer?